I wanted to upgrade our home (i.e., RV) entertainment system by adding a second DISH Hopper receiver. We would just “swap out” one of our lesser-abled Joey receivers for a Hopper (details here). 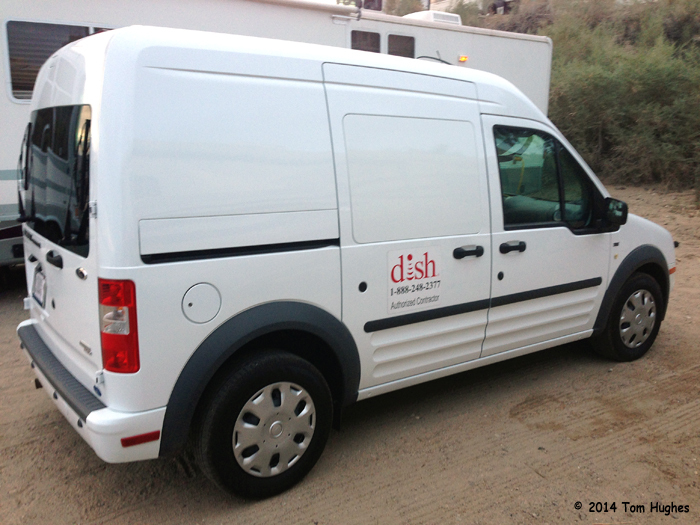 As I had done all the wiring, I thought DISH would just send me the new Hopper and I’d send the old Joey back to them. Nope. They had to send the Cable Guy to us at 7:30 Saturday morning. Long story short . . . the install went well, everything works, and the Cable Guy was great to talk with. A former equipment roadie who sold his 100-acre Nebraska farm and moved to Lake Havasu City last July to become a Cable Guy.